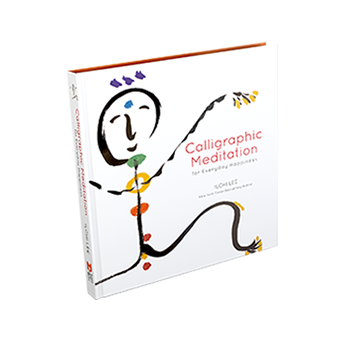 Discover a world of wonder and wisdom in this collection of Asian calligraphy paired with inspirational messages. In each brushstroke, llchi Lee has expressed his dream of a world where all are happy. Become enveloped in the secrets of the cosmos, the beauty of the earth, and the sublime in human nature as you observe each painting and discover your own happiness. Every moment of producing this body of artwork was a meditation for Lee, who has over thirty years of experience in developing mind-body-energy practices. With a clear mind focused on his brush, he has communicated his expanded yet deep awareness via paper and ink so that you too can experience a connection to your happiest self. 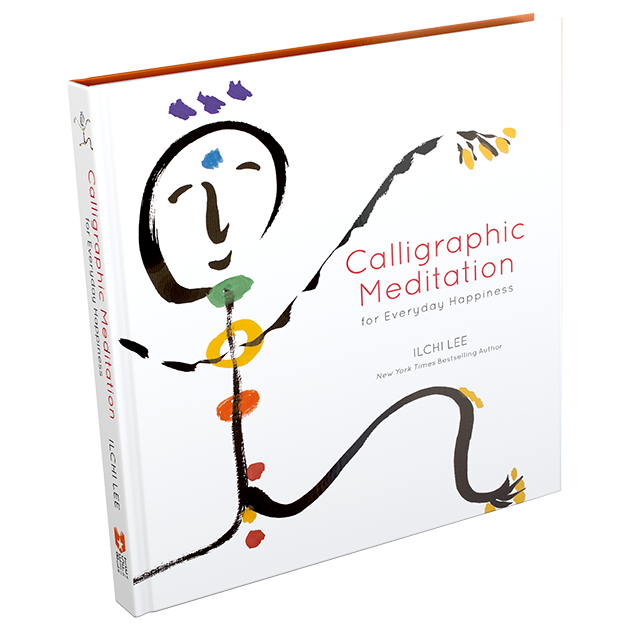 Calligraphic Meditation for Everyday Happiness displays 52 pieces of calligraphy that range from Chinese characters to playful images in Lee’s unique style. Go into their depths by meditating on the images and words, or let them briefly inspire you as you go about your day. - Unique blend of images and messages. ILCHI LEE is a visionary, educator, and author who has spent more than three decades helping people create better lives for themselves and the planet. He has created Body & Brain Yoga, Brain Education and hundreds of other wellness programs and methods. Lee has also authored the New York Times bestseller, The Call of Sedona: Journey of the Heart, as well as The Solar Body: The Secret to Natural Healing and 37 other books. A nature lover, Ilchi Lee lives primarily in Sedona, Arizona and travels around the world to share his dreams and ideas. He invites you to visit his website at www.ilchi.com. Colorful calligraphy and inspirational messages from a meditation and Tao teacher.